https://marmottan.fnacspectacles.com/Claude Monet is probably the world's most famous Impressionist painter. Sadly, the overuse of his art to decorate coffee mugs, coasters, and calendars has likely served to oversimplify and dilute his extraordinary body of work in the minds of the public. His celebrated water lilies start to feel cliche when you see them on too much merchandise, in other words. One way to see the gifted painter's work in a fresh light is to pay a visit to the Musée Marmottan Monet, which houses a remarkable collection of 130 paintings, drawings, and other works from the celebrated maestro of color and form-- the world's largest. The collection was bequeathed by a friend of the family and by Claude's son, Michel Monet, in 1966, and therefore represents a highly personal selection of works. Located on the edge of West Paris and the Bois de Boulogne, the Marmottan Monet boasts works such as the celebrated "Impression, Sunrise", as well as lesser-known works depicting the Normandy coast. The museum also houses a large collection of paintings from Impressionist Berthe Morisot and hosts regular temporary exhibits highlighting artists and thinkers related to the life and time of Monet. 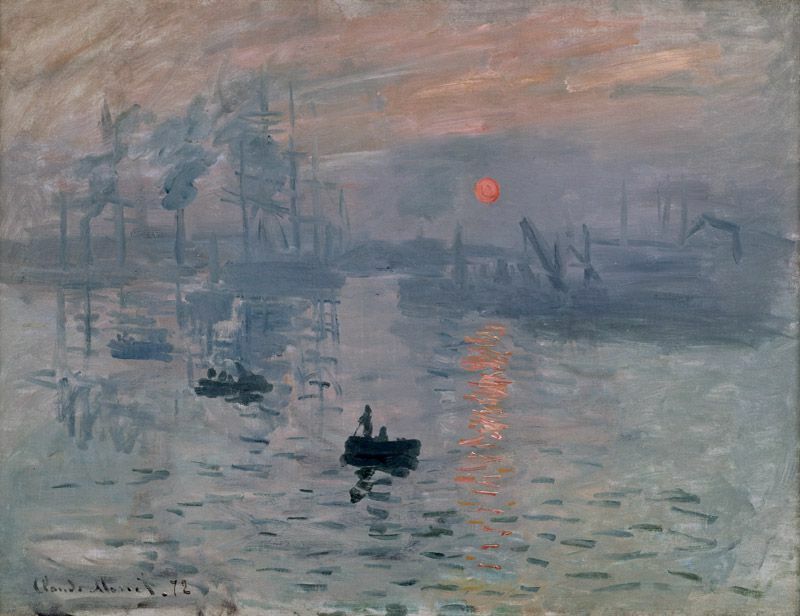 Interested in learning more about Impressionism? Make sure to also consult our guide to the most intriguing impressionist museums in Paris, from the Musee d'Orsay to the Petit Palais. The museum is located in the posh 16th arrondissement (district) of Paris, nestled near a corner if the sprawling and verdant Bois de Boulogne. The museum is open Tuesday through Sunday, from 10:00 am to 6:00 pm. There are late hours on Thursday when the collection is open until 9:00 pm. Closed: Mondays and certain French bank holidays (make sure to check ahead). Tickets and Pricing: Check current admission prices here. Admission is free for children under the age of seven. The permanent collection at the Marmottan-Monet represents the world's largest single collection of works from the artist, spanning from the famed 1872 tableau "Impression, Sunrise" (pictured above) to his equally celebrated water lilies series and lesser-known drawings and pastels. There's a genuine range here, allowing you to appreciate the painter's work from multiple facets. The some 130 works housed in the collection are viewed in a specially dedicated room in the museum tracing the Monet's artistic development and influences. We move from Monet's early years, when he had yet to find his personal form of expression and produced rather conventional portraits, caricatures and city scenes, and slowly observe as his works take on his now legendary, signature style, culminating in the paintings inspired by the artist's garden at Giverny, outside Paris. Lesser-known works give visitors a sense of the artist's true breadth and capacity to work with color and light in surprising and breathtaking ways. From industrial scenes given a troubling beauty (railway stations in Paris, the Charing Cross Bridge in London), to subtly melancholy paintings of Normand seaside scenes (the Trouville Beach, various scenes of the sea in movement), Monet's ability to capture the inherent beauty in small moments and details comes forth strongly in the collection. The Museum also features a room with some 100 paintings from lesser-known Impressionist painter Berthe Morisot, providing an opportunity to get to know the work of a no-doubt under-appreciated artist from Monet's wider circle of influence. Noteworthy works from fellow impressionists Gauguin, Corot, Boudin, Renoir, Guillaumin, and Carrière are among the works highlighted in the "Monet's Friends" section of the permanent collection. Temporary exhibits at the museum focus on particular aspects of Monet's techniques, life or times, and provide intriguing insight into the artistic and personal influences behind the artist's acclaimed body of work. Temporary exhibits have focused on neo-impressionist painters such as Seurat, who perfected techniques of pointillism.